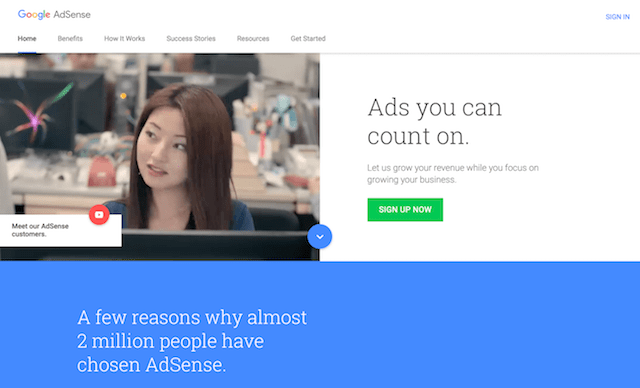 Even though it’s been under assault by ad blockers in recent years, AdSense is still a great choice for beginning bloggers. Indeed, if you’re a new to blogging, AdSense may be one of the few ways to earn some extra money while you build a following. AdSense is free software from Google that reads the content of the blog posts on your website and places relevant pay per click advertisements in the text. Blogging is one of the best ways to develop a daily writing habit. Indeed, the one piece of advice that marketing guru Seth Godin has for creating online independence is starting a blog and writing in it every day. If you have a website or blog you can easily create a free AdSense account. If you don’t have a website, you can follow these simple steps to start a blog using WordPress. Then follow these steps to install the AdSense header and footer code on your site to start serving ads. Don’t worry, they’ll appear. And, like anything you are new to, you won’t make much at the start. But if you don’t need the money to live on, and can make the disciplined choices I describe below, penny after penny of AdSense income can compound over time. Indeed, even pennies of AdSense revenue can grow to be like the proverbial tiny “acorns” that grow to become a giant oaks. Google requires you to have a minimum of $100 in your AdSense account before they will distribute funds to you. But you don’t need to wait. 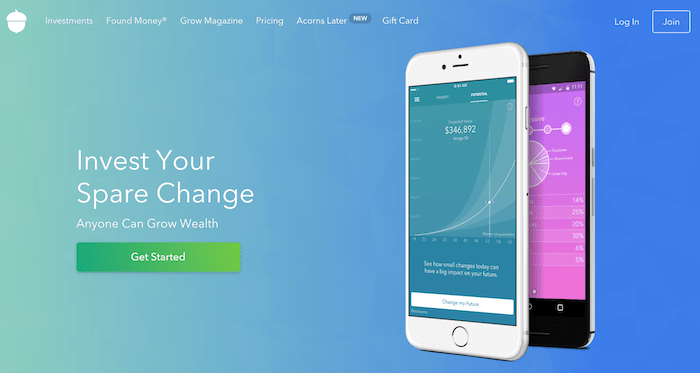 You can use a free app called Acorns to reinvest your passive income from AdSense. 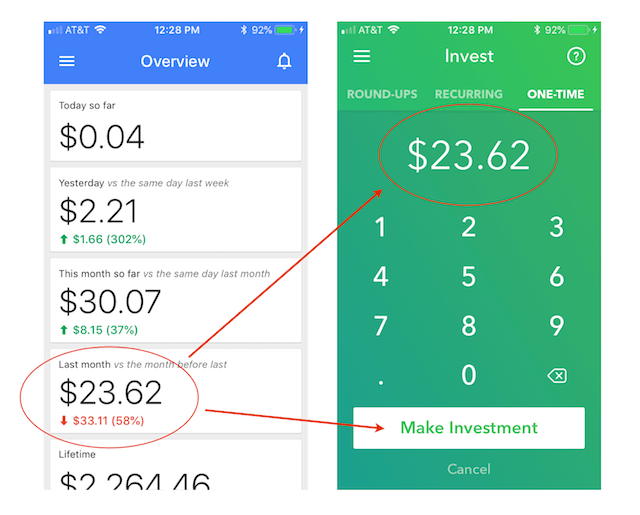 If you haven’t heard of Acorns, it’s a great, free mobile app for iOS and Android users that lets you invest small amounts of money over time. Within the Acorns app, there are multiple options to manually or automatically invest the equivalent of spare change. Acorns also has been setting up promotional partnerships with top brands like Nike, Blue Apron and Casper. If you take advantage of a promotional offer from within the Acorns app, the partner will invest some money in your account. Unfortunately there’s no formal partnership between Google AdSense and Acorns. So option #3 above is what we’ll do to invest our AdSense income. Once you install the AdSense code on your website, you can download the AdSense mobile app for iOS or for Android. You can use the AdSense mobile app to see how much you have earned in AdSense income each day, week, month and lifetime. You can also set up a custom report. As mentioned above, AdSense has a $100 minimum payout threshold… But even if you don’t earn enough during a certain month to meet the minimum, you can still invest the money using Acorns. So why wait to start growing the money you earned? With a few swipes and taps, you can view your AdSense income for the prior month and make a manual one-time investment using the Acorns app. For an example, below is a screenshot from one of my AdSense accounts. The AdSense app shows that in the prior month I earned $23.62 in AdSense income. But the $23.62 is too little for Google to disburse. If I was waiting to meet the minimum investment threshold before investing each month, I would miss out. Indeed, at this rate, I will only get a check roughly every 4+ months. That’s a lot of time to wait to be out of the market…! Especially if I was invested in stocks that pay a dividend, such as REITs.3 And most dividend stocks pay dividends on a quarterly basis, so missing a quarterly dividend would hurt your potential for compounding with dividends. So, instead of waiting for Google, I can just look at my prior month’s $23.62 in AdSense earnings, and then make a manual one-time investment of $23.52 using the Acorns app. This way, my money can start to grow as soon as possible. “Buy low and sell high”. This is good advice, but trying to time the market like this can backfire. Because who can know for sure when stocks will go up or down? If an investor has a large sum of money that they want to invest, it may make sense to invest at a single time, all at once. However, most people don’t have a ton of money to invest. Beginner bloggers are often in this category. As such, an alternative to single, lump sum investing is called “dollar cost averaging”. Dollar cost averaging means investing the same amount (or roughly the same amount) on a regular basis, regardless of market performance. In our AdSense earnings example, the schedule of investing could be every month investing the amount you earn in AdSense revenue according to an investment portfolio risk strategy (as described below). Well-known investment company Vanguard published a free report on dollar cost averaging as an investment strategy. …if the investor is primarily concerned with minimizing downside risk and potential feelings of regret (resulting from lump-sum investing immediately before a market downturn), then DCA may be of use. The key to dollar cost averaging is discipline. Make sure you invest each month, regardless of market performance. Are you a risk taker or are you risk averse? When you create an Acorns account, you can choose an investment portfolio based on what kind of risk appetite you have. For instance, if you are a conservative investor, you might want to invest only in low volatility, relatively low risk investments, such as bonds. Conversely, if you are an aggressive investor who is comfortable with risk, you might want to invest in a basket of riskier domestic and international equities. Investors who are comfortable with risk and who have a long time horizon before they need to touch their investments often invest more aggressively. Either way, Acorns has you covered. You create an Acorns account and choose the type of portfolio you want. For my AdSense portfolio, I chose “Aggressive”. So, by using both of these free services in conjunction with your daily, regular blogging, you can build up a small investment portfolio. Maybe AdSense and Acorns will one day create a formal partnership… But until then, you can do it manually with very little effort. The amount of money you earn per click depends on the type of ad that is being served and how competitive the topic is among advertisers. Advertisers compete in a bidding process to have their ads seen throughout the online AdSense network across the web. Of course, Google benefits from this. Google doesn’t have an incentive to reduce the threshold for the many millions of small accounts that have not yet earned enough to be paid out because, essentially, by letting Google hold your money you are giving Google an interest free loan on your earned, but unpaid, AdSense earnings. REITs are real estate investment trusts. If you are interested in investing in real estate, but don’t have the money to buy real property, REITs are a great way to get exposure to income producing real estate through dividends. 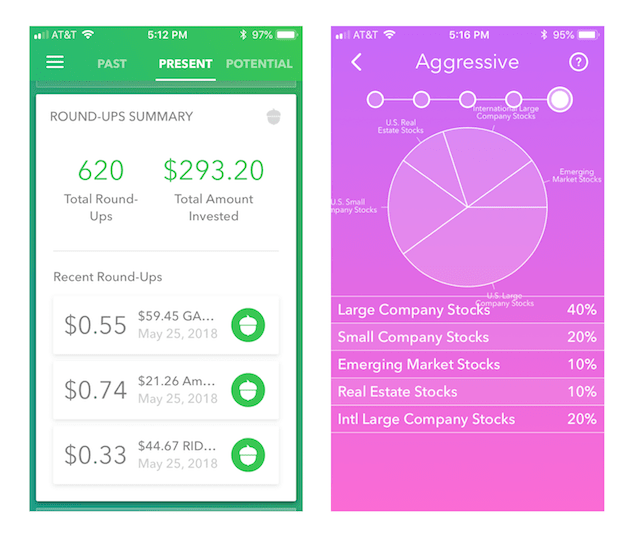 Acorns allows you to get exposure to REITs and other great dividend paying stocks like Apple. What About GDPR for IoT?